In just 3 steps, create your exhibit planning timeline. 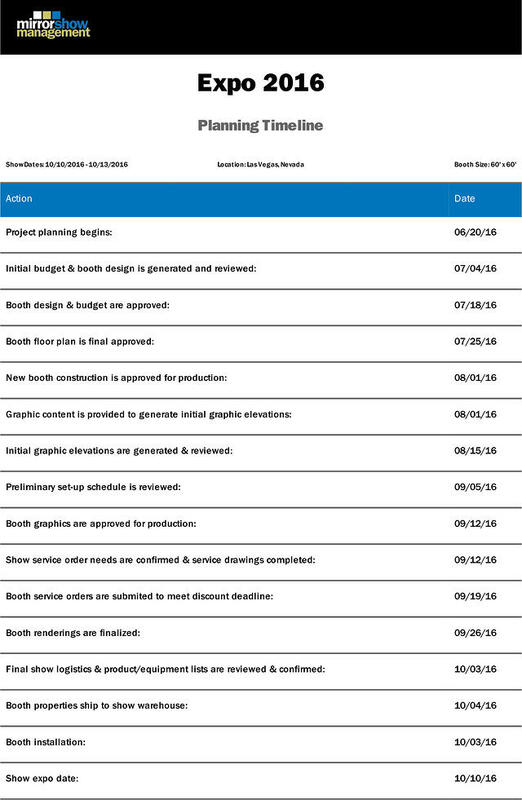 Our exhibit planning timeline tool is the perfect resource for any trade show manager. Save time and get started with your trade show planning in just 3 simple steps.